Generating high-quality content on a consistent basis has become one of the most critical tasks in any online marketing strategy. And for a good reason. A well-written piece of content published on your website can help boost your ranking on search engines. This makes it easier for your target audience to find you when they search online. When your site ranks high on Google, other search engines also promote your brand as a reputable leader within your niche. More importantly, it helps increase the chances of your target customers doing business with you. These days, customers make their buying decisions based on the research they do online and from recommendations. There’s just one problem about creating new content, and that is the fact that it requires a significant amount of time and effort. 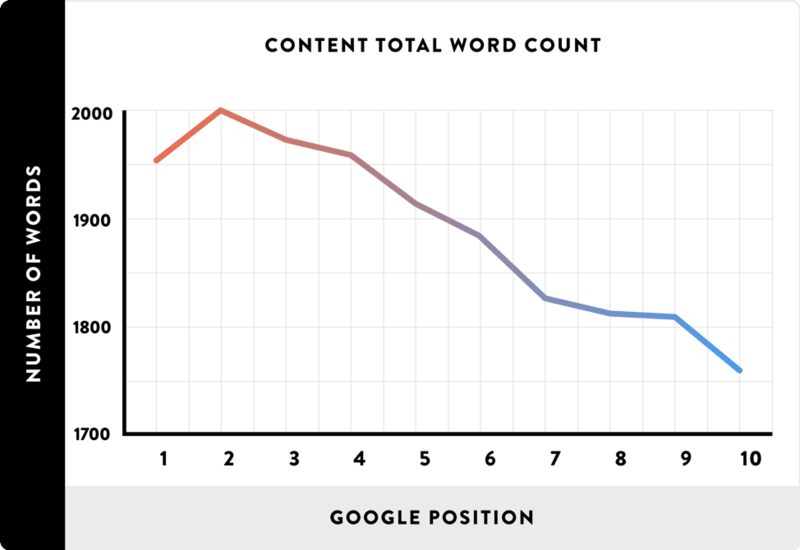 On average, it takes an expert content writer 1-2 hours to write a well-written 500-word blog post. Unfortunately, 500 words are no longer enough for a blog post to rank on the first page of Google (unless your name happens to be Seth Godin). Recent studies show that the average length of blog posts that list on the first page of Google is about 1,890 words. 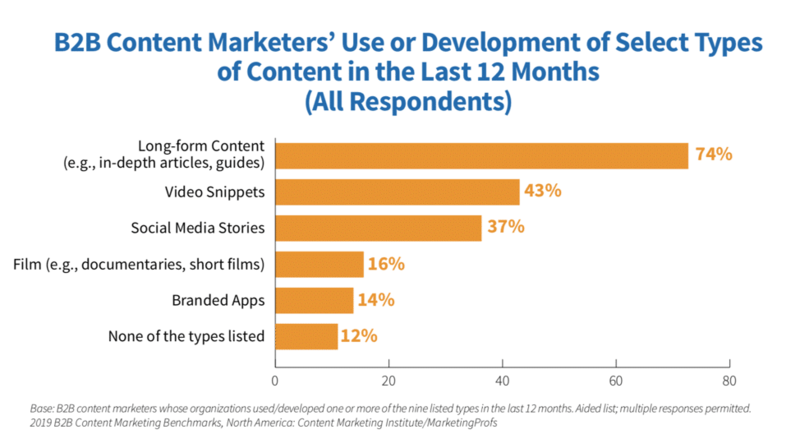 That’s why according to the Content Marketing Institute’s 2019 Industry Benchmarks, Budgets, and Trends report, 74% of B2B marketers have begun creating long-form content. That also means that it now takes roughly 3x longer for an expert content writer to develop a quality blog post. Some B2B businesses opt to outsource their content writing tasks to a freelance content writer. This option may free up their time to focus on other tasks. However, that doesn’t mean there isn’t a price to pay, literally. On average, freelance content writers charge $30 per hour to write one blog post. Again, it doesn’t sound like much. However, if you plan on publishing one long-form blog post each week, you’re looking at spending anywhere between $4,000 and $8,000 each year! Video content takes a lot longer to create and publish than a blog post. It takes up to 12 hours to create a one-minute video from start to finish. Given the time that it takes to develop a piece of content on your website, you want to make sure that you can extend its lifetime value as much as possible. You can do this by recycling existing content into something new. Repurposing your existing content also helps you expand your audience reach. People that match your buyer persona may prefer watching videos or listening to a podcast than reading a long-form blog post. Converting existing content into a new format makes your content more appealing to a broader audience, allowing you to cast your net further to generate more leads for your business. That doesn’t mean that you should repurpose every single piece of content you’ve ever published. Instead, look for material that received the most engagement and conversions because these are the pieces that resonate the most with your target audience. Evergreen content is also great to repurpose. These content pieces continue to be timely and relevant despite the ever-changing trends within your industry or niche. 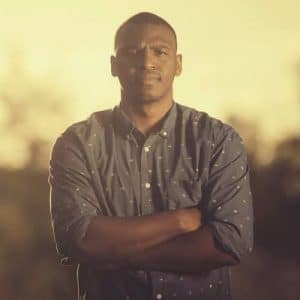 One example of this is this guide on creating an inbound marketing playbook for startup founders. Even though recent trends caused influencer marketing to evolve since the time that I wrote this blog post, startup founders and marketers can still apply the points I shared here and get results. Because of this, I decided to repurpose the blog post into a PDF that startup founders can download and refer to when they meet with their teams and plan out their inbound marketing strategy. If you’re creating video tutorials on a specific topic, you can repurpose these by repackaging them into a mini-training workshop that you can offer to your viewers on your website. Your “About Us” page is perhaps the second most visited page on your website. The reason? Telling your potential customers you’ve got a fantastic product or service is no longer enough to get them to buy. You need to connect with them on an emotional level. That’s because these days, customers prefer buying from a business that shares the same principles they value. It’s this emotional allegiance they create with a brand that not only encourages them to make a purchase but gets them to become loyal customers. If you have a website, chances are you already have an “About Us” page up and running. Here are some tips to tweak it to help you generate more leads. This gives you the opportunity to target the pain points your customers currently face. Write these in such a way that your target customer will feel that you genuinely understand them, and explain how your business and products help address these issues. Chances are, there are other businesses out there that are offering products and services that are similar to yours. Your Unique Selling Point should explain to your target customers what sets you apart from your competitors. More importantly, it should convince them why they should do business with you and not with someone else. People regard their core principles as sacred and non-negotiable. So when your core principles match theirs, they are more likely to do business with you. Just because you’re running a business doesn’t mean that you have to always speak in a very formal manner, especially if this isn’t the culture you foster within your company. Writing up your “About Us” page in a way that you would tell your friends about what you do helps make your brand more human and approachable. Canva’s “About Us” page is a perfect example of putting all of these tips together. 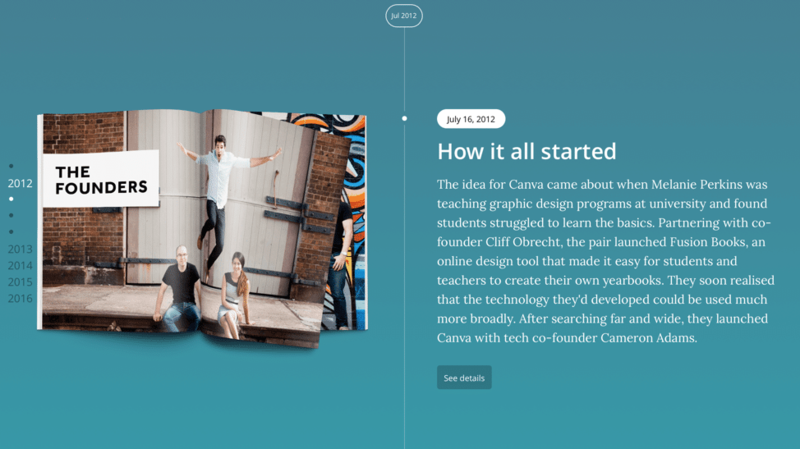 Not only did they tell the story of why and how Canva started, but they also presented this in a visually appealing format that indirectly showcases the capabilities of the service they’re offering. Perhaps the most striking thing about Canva’s “About Us” page is how they presented the photos of their founders and the rest of their team. Rather than using those conventional headshot photos you see in most “About Us” pages, they are shown here wearing casual clothes and goofing around. This tells their visitors a lot about the principles and corporate culture they observe within the company. As you continue marketing your brand and products, you can bet people will begin talking about you online. Some will be good while others won’t be as flattering. Both offer you the opportunity to engage with and convert them into leads. The challenge here is knowing where these conversations are taking place and where they are happening. Using a social listening platform that monitors and alerts you each time your brand or product is mentioned comes in handy. The beauty about this is that because this is done in real-time, you’re able to shorten your sales cycle. Choose relevant keywords to your brand and products. Any social media channel can be “noisy.” Narrowing down your alerts to keywords based on your overall goal will help you quickly jump in the conversation and begin the nurturing process. Jump into your social media account at least once a week. Social media listening tools aren’t perfect. Taking the time to visit your social media accounts give you a better picture of the conversations that are taking place there. This will also help you adjust your keywords so that you can catch any of those conversations that you may have missed. 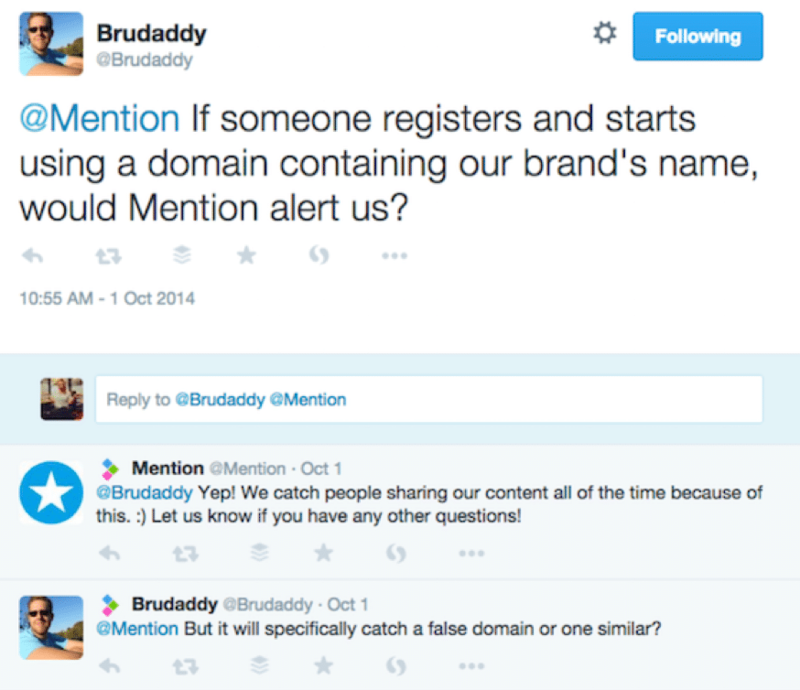 Check your competitors’ social media accounts. Pay close attention to the complaints they’ve received from their existing customers. These can open the door for you to slowly introduce your products as an alternative for them to consider. Offering a free trial for your product or service to your target customers for a limited time can help you generate probably the best leads in your list. Apart from the fact that people love free stuff, those that sign up for a free trial are leads that are already seriously considering purchasing your product or services. Giving them the chance to try your product or service in their businesses allows them to make a better purchasing decision. This is precisely what happened with SAP SE when they launched their Business One ERP system. Part of their lead generation campaign was to offer potential customers visiting their website a 30-day free trial of their system. This offer alone helped them generate 3,700 new leads that they can convert into paying customers. As we have seen, there are several other ways that you can gather new leads to convert for your business without having to create new content. Of course, that doesn’t mean that you can forget about publishing quality content on your website. It’s still a crucial aspect of any marketing strategy. However, supplementing this with any one of these other strategies can significantly increase the number of leads you generate for your business.